The MUJA gamepad, which is currently in the crowdfunding phase, promises to revolutionize gaming on the smartphone. The touchpad is attached to the back of the smartphone and has four touch-sensitive buttons. The principle is familiar to some from the PS Vita, and this function was also originally announced for the Nubia X with its two displays. With the MUJA Gamepad, any smartphone can now theoretically be equipped with it. We have seen countless variations of controllers for smartphones in recent years. There are control sticks that are stuck to the display and “shoulder buttons” that are stuck to the edge of the phone. 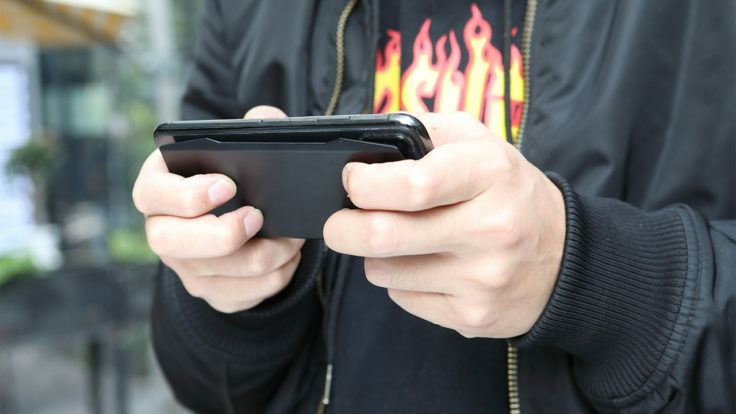 So-called gaming smartphones such as the Xiaomi Black Shark are equipped with their own pluggable controller. And of course there are a number of Bluetooth controllers that can also be used with a mobile phone. But the latter in particular have the problem of not being compatible with every device and especially not every game; moreover, you don’t necessarily have your controller with you all the time. Here, the MUJA gamepad should offer the advantage of being much more portable. 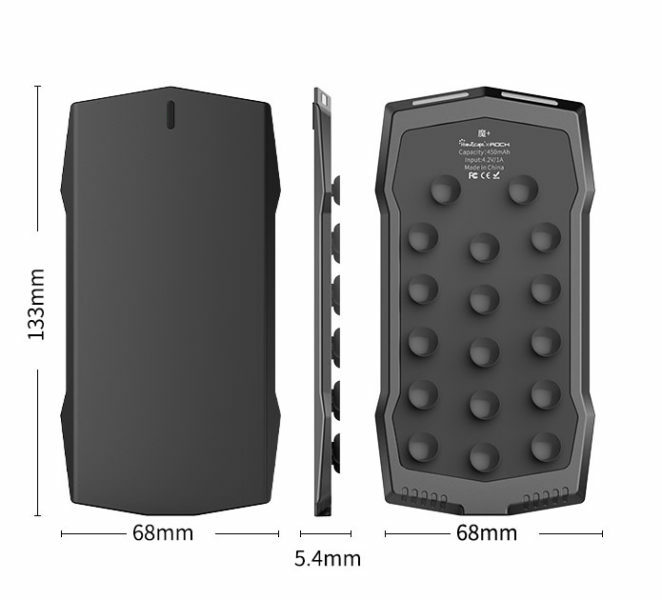 With dimensions of 133 x 68 mm and a thickness of 5.4 mm, it is similar in size to a smartphone and weighs only 59 g. It is attached to the device with 17 suction cups, which are arranged evenly on the underside. For the mobile phone camera, which is differently attached to each smartphone model, one has cleverly left some recesses at the top. Theoretically you can leave the MUJA gamepad on your smartphone. The touch surface consists of four individual keys/areas that can be freely assigned. According to the manufacturer, all “mainstream” smartphone games are supported, including PUBG and Fortnite. There will even be a separate MUJA app, which will act as a launcher for all games. The connection to the smartphone is done via Bluetooth 4.2 (the campaign site also mistakenly mentions 4.0). The battery life is particularly noticeable. The 450 mAh should suffice for a total of 36 hours of use or even 56 hours of standby. The gamepad is charged in about three hours. So if you play a lot on your smartphone and on the go, you might find the MUJA controller to be a reliable, durable companion. So is this where the gaming revolution for smartphones comes from? 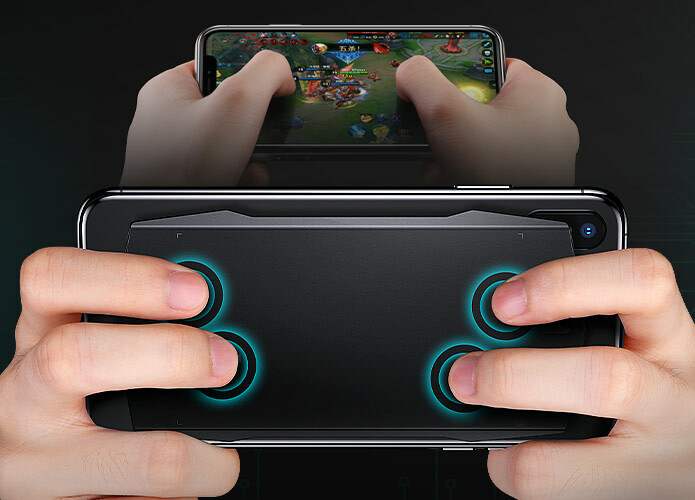 Well, the concept looks good, the keys are easy to reach, and if the gamepad convinces in terms of processing and operation, it could make gambling on the mobile phone much more pleasant. One obstacle for most people might be the price; the cheapest package of the crowdfunding campaign currently costs $49, so a gamepad for a smartphone must be worth it. What do you think of the concept; what controls do you prefer for smartphones; and what are you willing to spend on them? After joining the team in late 2015 I quickly fell in love with aerial photography. Today I review most of our drones. I'm also interested in gaming related gadgets.